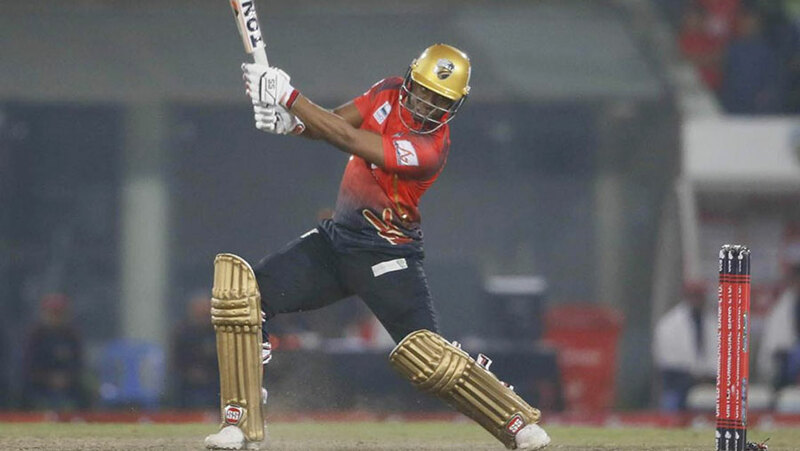 Comilla Victorians sealed their berth in the final of the sixth edition of the Bangladesh Premier League with a thumping eight-wicket win over defending champions Rangpur Riders in the first qualifier at the Sher-e-Bangla Stadium in Mirpur on Monday (Feb 4). The win ensured Comilla's second final in their third appearance while it also served as revenge for their defeat against the same opposition in contentious circumstances during last year's second qualifier, as well as for two humiliating defeats during this edition of the BPL. West Indian batsman Evin Lewis anchored Comilla's chase of 166 with seven balls to spare with a fluent 53-ball 71, getting substantial support from Tamim Iqbal (17), Anamul Haque (39) and Shamsur Rahman (34 not out). Earlier, Mashrafe Bin Mortaza's Rangpur, playing without star batsmen AB de Villiers and Alex Hales, managed 165 for five after opting to bat, thanks to a late cameo of 53 off just 28 deliveries from English all-rounder Benny Howell. Chris Gayle scored 46 off 44 while Rilee Rossouw smashed 44 off 31 deliveries. Rangpur Riders, however, will have a second chance of qualifying for the final when they take on Dhaka Dynamites in the second qualifier on Wednesday (Feb 6). Dhaka Dynamites, earlier in the day, knocked out Chittagong Vikings in the eliminator with a comfortable six-wicket victory.